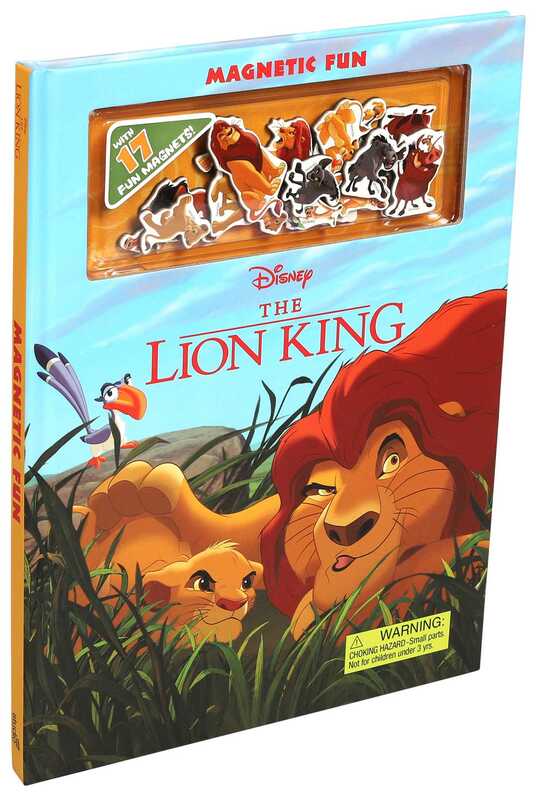 Roar along with your favorite characters in this Lion King magnetic adventure! Join Mufasa, Simba, Pumbaa, Timon, and all of your favorite Lion King characters in this interactive retelling of the animated classic! Revisit iconic scenes and become a part of the Pride Lands as you place character magnets in the book to make the pages come alive. With more than 10 magnets to pick and place, this is sure to be a roaring adventure! Children's Fiction > Animals > Lions, Tigers, Leopards, etc.